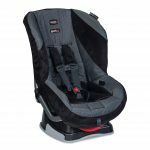 The Graco Contender 65 and the Britax Marathon are both convertible car seats designed for infants and toddlers weighing between 5 and 65 lbs, both with the capability of being able to seat children weighing up to 40 lbs in a rearward facing position. With both the Graco and the Britax serving the same purpose it can be difficult to choose between these two popular brands. We’ve brought together some of the main features of each of the models to see which one we think is the best. 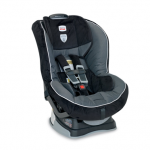 Both the Graco Contender and the Britax Marathon have been extensively tested for safety and both feature strong side impact protection. The Contender boasts having energy absorbing foam and having double the standards required for peak crash force testing. The Marathon has highly rated SafeCell technology in its design, meaning it has an impact stabilizing steel frame and impact absorbing base and harness pads. The Marathon also features patented staged-release technology to minimize forward movement during a collision. The Contender and the Marathon are both a similar depth and the same width. The measurements of the Contender are 23.43 by 18.5 by 22.05 inches compared to the Marathon which measures at 26 by 18.5 by 21 inches. Both models are compact enough to fit into smaller cars without taking up too much of the back seat. The extra height on the Marathon might be more of a problem when used in a rear facing position if your car is very small and there are passengers in the seat in front. The Contender and the Marathon both feature comfortable fabrics and quality foam padding, with the Contender having the extra feature of a built-in cup holder. They also both feature removable cushioning that will give extra comfort for both small babies and larger toddlers. The Marathon features a 3 position recline compared to the 2 position recline on the Contender. 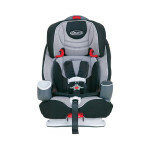 The Marathon benefits from having an adjustable headrest that can be moved in 10 different positions to suit the comfort of your growing child but the headrest on the Contender can also be moved in 8 different positions. Both the Contender and the Marathon are quick and easy to install in your car and can easily be removed to be placed in another vehicle. The harnesses on both models are also easily adjusted, without having to be re-threaded, with the Contender being designed to be used with just one hand. The Marathon benefits from having an easy to remove seat cover without having to remove the harness, so it can be cleaned a lot more easily than the Contender. The Contender’s removable cushions can be machine washed and the rest can be cleaned with a cloth. 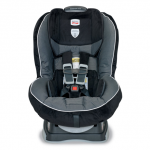 With both the Graco Contender 65 and the Britax Marathon car seats having features beneficial to your child’s safety and comfort, we think the Britax Marathon comes out on top. 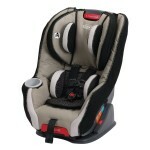 CLICK HERE TO GET BRITAX MARATHON TODAY WITH FREE SHIPPING! 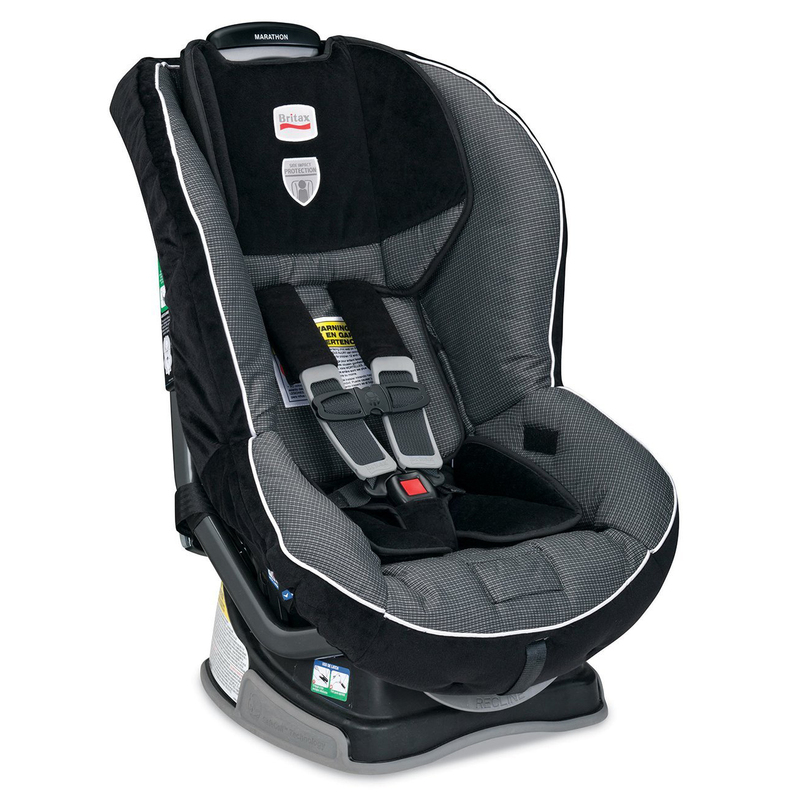 The Britax Marathon has outstanding safety features and is an easy to use car seat that is worth the higher cost. 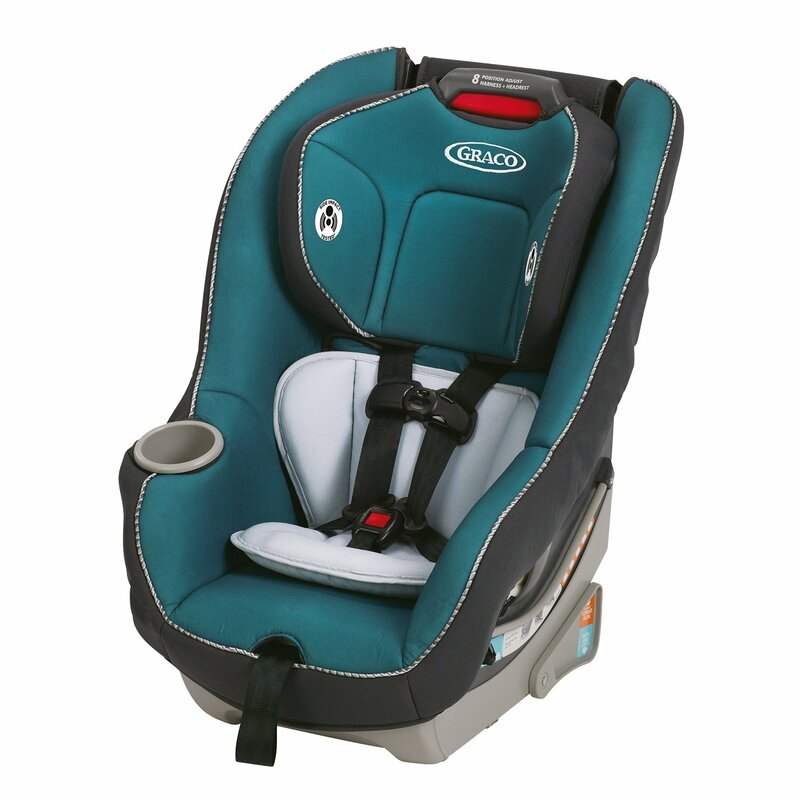 However, the Graco Contender 65 is still a good choice for those looking for a less expensive model or a secondary car seat.